When one thinks of rice one thinks of Japan and China, but the cultivation of rice in the plain of the Po river started many centuries ago. The I.G.P. was assigned in 1996 but the Venetian Republic introduced this cereal to our area. 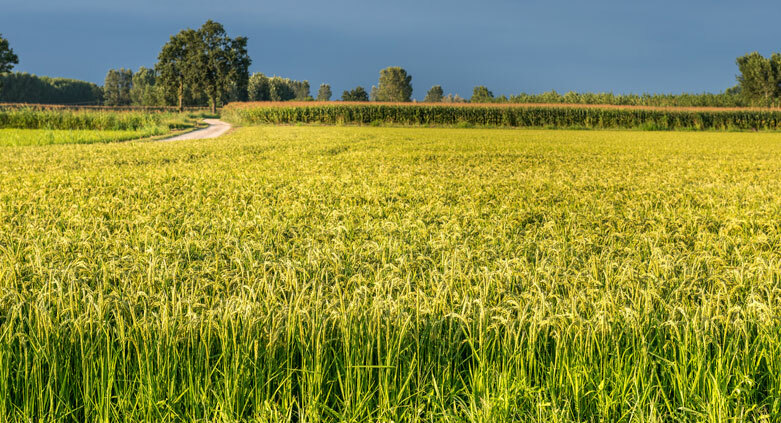 In the southern part of Verona’s province the farmers grow a special type of rice perfectly suited for ‘risotto’ dishes and we will show you and tell you all about it. The Rice Road starts a few kilometers south of Verona and you will discover a totally different landscape: no more hills only a mosaic of cultivated fields, canals and springs enriched by a variety of Romanesque churches, medieval fortresses,villas and rural courts:welcome to the Verona plain! 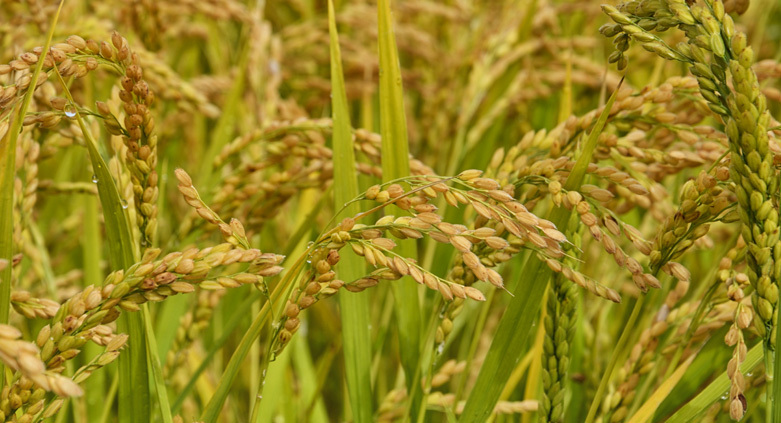 Agriculture is still one of the main sectors of our economy and depending on the season you will see fields of corn, tobacco, kiwi, berries, peaches and of course rice fields. 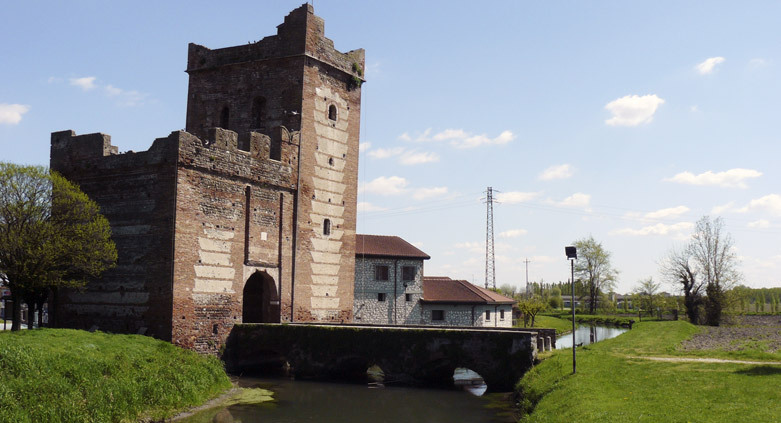 The first stop is in Buttapietra in order for you to see a natural water spring. This is where water rises to the surface …and water is an absolute must in rice cultivation. We continue towards the rice paddies and have time to explain how come rice was cultivated here, the use of rice in the past, the stories relating to rice and naturally the work of the ‘mondine’,the rice weeders. At the rice paddy the explanation becomes quite technical but shortly after, in front of an ancient Venetian Villa the conversation will turn to the landowners of the past that built their villas as a hub for their economical activities but also as a showcase for their wealth and as a place where they could entertain and relax. The most interesting part of the tour is at the end: a visit to a rice mill dating back to the XVIIth century which is still working and here the refining process will be explained. After the tour we highly recommend you take the time to stop in one of the many local restaurants to have lunch or dinner based on risotto and rice products. MEANS OF TRANSPORTATION: the bus or car of the clients is necessary for this tour (departure point to be decided with your guide). The first part of the tour is by bus. We stop a first time at the water spring and then continue for about 20 minutes until we reach the paddies. We stop for about 30 minutes to observe the tilled fields. A further 10 minutes by bus will take us to the mill. SUITED FOR: groups, families, schools, individuals. Entrance to a rice mill. TOURIST BUSSES: check out www.amt.it for entrance fee to the city and parking fees. CAR: Parking Arena, Parking Cittadella, Parking Isolo, Parking Centro. All Parking areas are more or less a 10-15 minute walk from the Arena (Piazza Brà). AVAILABLE LANGUAGES: Italian, English, German, French, Spanish, Finnish and Japanese. Ask for the language you are interested in. TO COMPLETE YOUR DAY: Villa Dionisi at Ca' del Lago di Cerea (advance reservation necessary), Villa Brà at Bonferraro (advance reservation necessary). FOR WHOEVER HAS AN EXTRA DAY: Verona, Lake Garda, Soave, Valpolicella. We reserve the right to slightly modify this itinerary if necessary. ASSOGUIDE is not responsible for changes in the opening hours of the various attractions. Check the exact tariff based on your specific requests at the TARIFFS page. If the required date is not available contact the office and we will do our best to help you. If you do not see the tour you want… contact us… we will do our best to satisfy you.